It used to be that the thought of sitting in a car for 10 hours with three children was enough to drive me to drink (or at least to drive me not to drive) but now that I have found knitting I actually see long drives as a unique opportunity to make some serious knitting progress. Such was the case on Monday when we headed up to Oregon for vacation. What you see here is the status of my Runabout bag at the start of our journey. 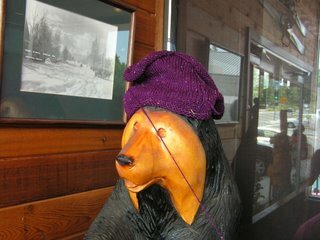 I worked away knitting happily until we got to the Black Bear Diner in Shasta and it looked like this: Then finally we arrived at our destination and I had finished the outside of the Runabout bag. Now mind you I could have knit more except for two things: First - I had to drive part of the way and I make it a strict rule not to knit while driving (I know - silly rule), and second - I ran out of yarn! 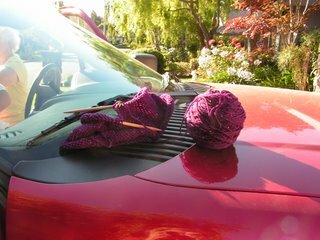 Yes, I knew I didn't have enough of the skein I was using for the entire purse and I had planned all along to do the inside piece a different color but I didn't think to bring that skein with me in the front of the car. 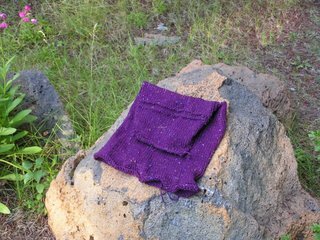 Now thankfully I do have it with me but I didn't think my family would take kindly to my suddenly shouting, "pull over - I'm out of yarn! I need to riffle through ten tons of luggage packed in the back to find a ball of yarn!!" No instead I quietly put aside my Runabout and worked on a baby blanket. One the way home I'll stock more yarn! I actually look forward to long trips now so I can get my "big" projects done! I have to plan what to bring in my "in the car" knitting bag & what goes into the "trunk" knitting bag! I love it!! I now look forward to car trips and flying. It allows for more knitting time. I took my knitting while I waited for a friend in a doctor's waiting room - more folks talked to me than you could imagine.. "oh, what are you making?" 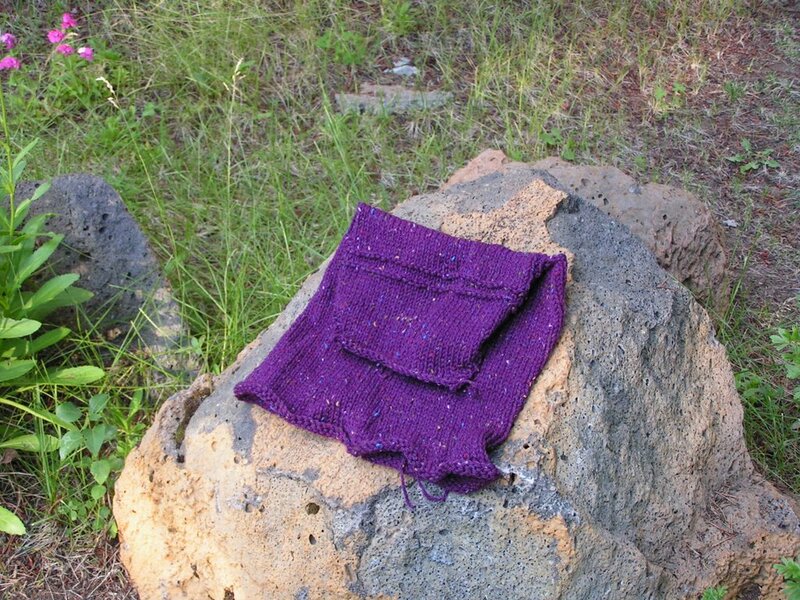 How long have you been knitting? I wish I could knit, etc.